EVAPCO Inc. is an employee owned manufacturing company with global resources and solutions for worldwide heat transfer applications. 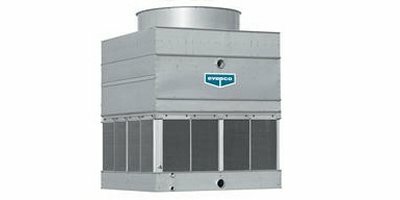 EVAPCO is dedicated to designing and manufacturing the highest quality products for the evaporative cooling and industrial refrigeration markets around the globe. EVAPCO supports its worldwide customers with manufacturing facilities and sales offices strategically located around the world. The world headquarters is located in Taneytown, MD (U.S.A.). Since its founding in 1976, EVAPCO, Incorporated has become an industry leader in the engineering and manufacturing of quality heat transfer products around the world. Our worldwide clients are supported through our manufacturing facilities and sales offices strategically located around the world. Headquartered in Taneytown, Maryland, EVAPCO products are manufactured in 23 locations in 10 countries and supplied through a sales network of more than 170 offices. We are committed to providing the most advanced products in the industry – Technology for the Future, Available Today! Working as a team to excel in product quality and customer service. EVAPCO’s strength - and edge in the cooling industry - comes from the employees and their commitment to delivering the highest quality services and products. Bill Kahlert, cofounder of EVAPCO, passionately believed the company would always succeed as long as it is led by dedicated, capable employees. In 1984, EVAPCO formally became an employee owned and operated company. EVAPCO strongly believes in the value of all employees, from the Research and Development engineers and technicians constantly designing new and improved products, to the shop workers who expertly craft each unit and from the receptionists answering the phones to the field technicians refurbishing an old unit. Every step along the way EVAPCO employees add value to the products and services they provide. The culture of ownership gives us the drive to go the extra mile, maintaining EVAPCO as a leader in innovative thinking and stellar customer service.